For an excellent pair of lightweight, multipurpose men’s footwear, these are the top pick. Danner took a typical design and completely overhauled it, cutting out any and all extra weight while still maintaining a superior level of comfort and performance. The end ... (see full details) (see specifications) #DNN50122. For an excellent pair of lightweight, multipurpose men’s footwear, these are the top pick. 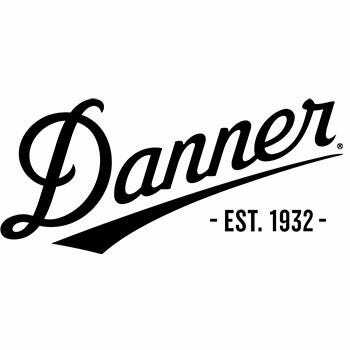 Danner took a typical design and completely overhauled it, cutting out any and all extra weight while still maintaining a superior level of comfort and performance. The end result: Danner Men’s 50122 Black Tachyon 8 Inch GTX Waterproof Boots. Most workwear in this particular weight category (35 ounces) have composite rubber outsoles, but these Tachyon shoes proudly feature true rubber outsoles to give you excellent abrasion-resistance and traction. The durable, full-grain leather and 500 Denier uppers are completely synthetic to shave off excess weight, giving you the added benefit of having an ultra-fast dry time. The rugged uppers are waterproof, along with the 100% waterproof and breathable GORE-TEX liner on the interiors. In addition these black shoes are engineered to keep your feet dry and comfortable. Your feet will rest on open cell polyurethane footbeds that allow for optimal airflow and cushioning. EVA cushioning midsoles in this footwear are in place to provide you with much-needed shock-absorption. With a three-layer comfort system working together to create a snug, comfortable fit for your feet, you’ll want to wear this military shoes everywhere. The exteriors are just as impressive as the insides of these premium boots. They have polishable toes, and these Tachyons are also slip-resistant, as their rubber outsoles feature pentagonal lugs that give you superior surface contact. They’ll prevent those dreaded slips and falls you may or may not have experienced in the past. Nylon shanks lend your arches extra reinforcement - when you’re on various terrains, you’ll need the stabilization of the shanks, along with the slip-resistance. Another cool aspect to this t footwear is their speed lacing system. The durable, brass hardware gives you a secure fit, all the way up the 8-inch uppers of these water-resistant boots. Polished toes finish off the look of these Danner Men’s 50122 Black Tachyon 8 Inch Waterproof GTX Leather Boots. They’re versatile and work hard to meet your lifestyle’s needs. For a lightweight pair of men’s boots, they offer you with so much more than ordinary styles. This men’s footwear is available at Working Person’s Store, so order yours today. I just placed an order for some white men's nursing shoes and I had your employee customer service helping me. I would like to tell you that you have some wonderful people working the phones. She was kind, knowledgeable, and a professional. This is what most companies should look for in a phone support representative. Danner Boots: Men's 50122 Waterproof Black Tachyon 8 Inch GTX Boots is being added to your cart.